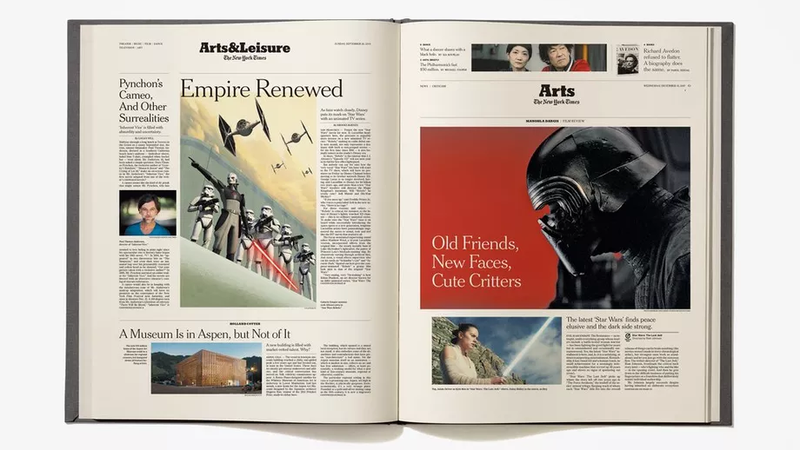 Star Wars, a story about the history of a fictional galaxy far, far away, made lots of history in this one, and the New York Times is selling a nice compendium of it all. If you’re a collector looking to add some real-world context to your Star Wars collection, you could do a lot worse. The book retails for $70, and begins right in 1973, with the first NYT feature on Lucas’s work in Star Wars, back when he was mostly known for American Graffiti. To grab the collection, you can go to the New York Times store here. How Good Are the &apos;Best&apos; Star Wars Books, Really?